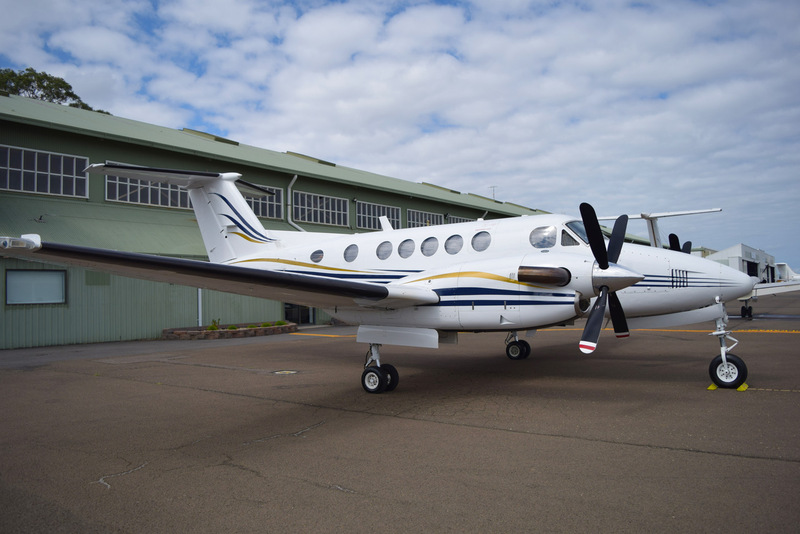 Dependable, highly capable and incredibly efficient, the Beechcraft King Air is the most popular turbo-prop business aircraft in the world with an impeccable safety record. 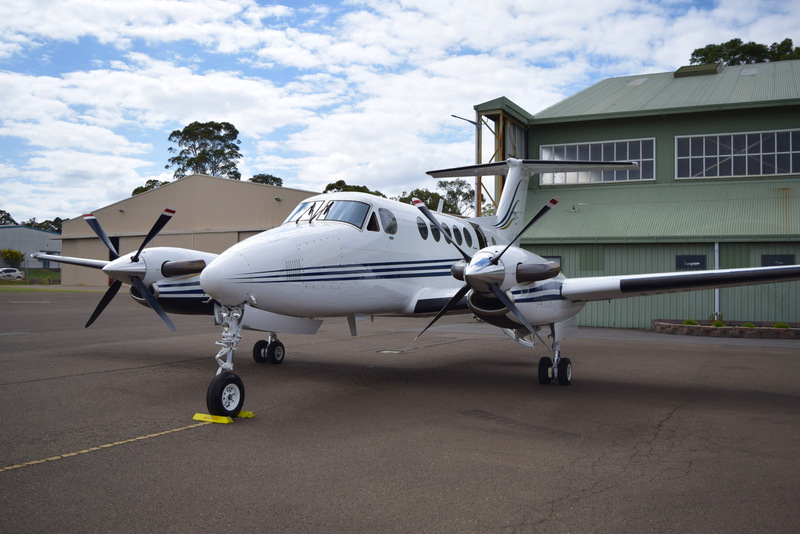 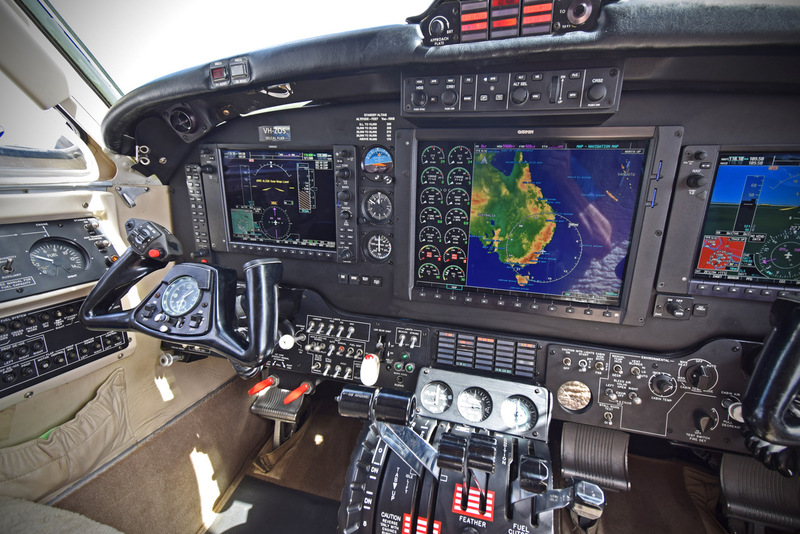 Boasting huge cargo capacity and impressive payloads, the King Air is ideal for small groups traveling quite literally anywhere in Australia; from rural airstrips and deserted islands, to international airports. 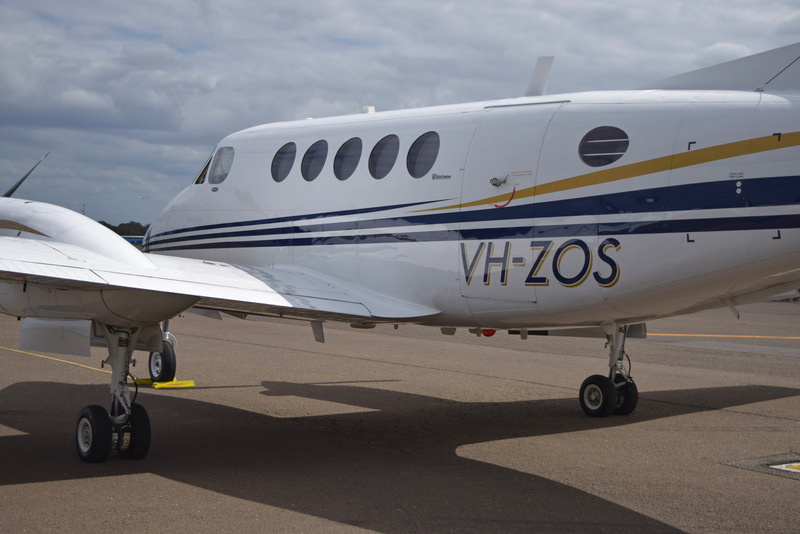 We regularly fly direct to King Island and Barnbougle Golf Courses with the King Air, providing bespoke Golfing Holidays for those who want to fly direct from Sydney. 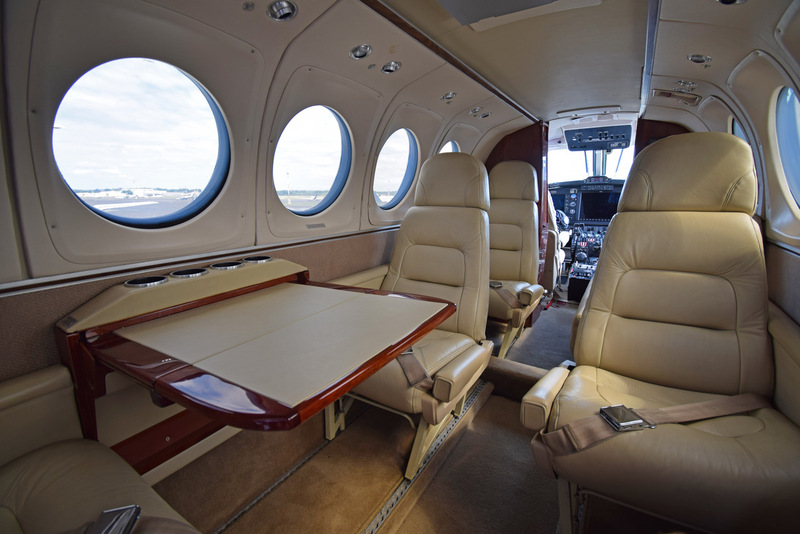 With room for up to 8 and clubs, or 10 with pencil bags, the King Air is the perfect aircraft. 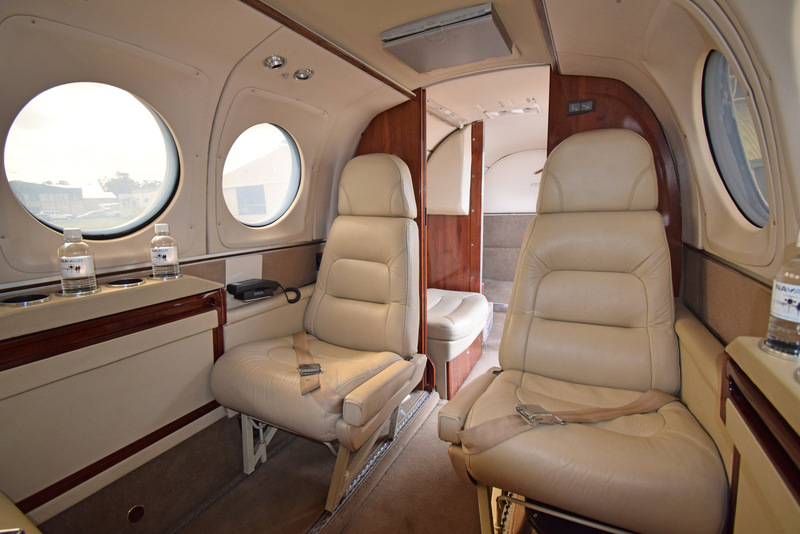 Our King Air is appointed in cream leather, with cup holders on each seat and fold out business tables. 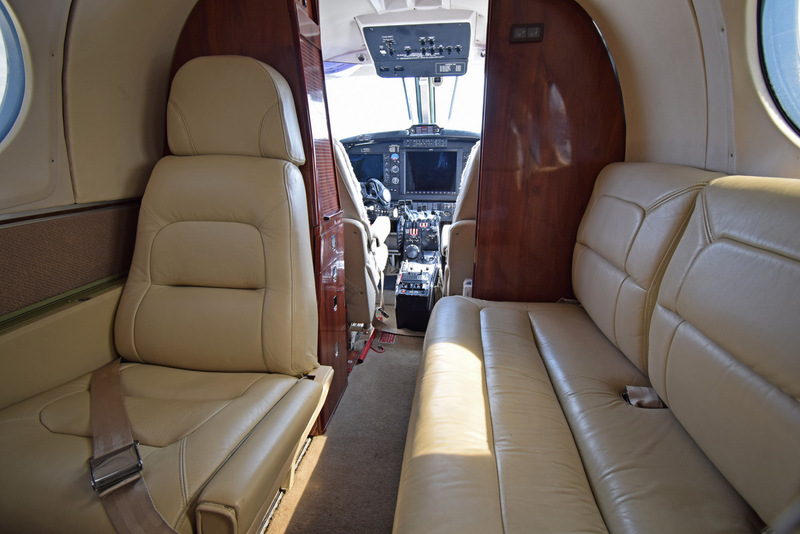 For some old fashioned in-flight entertainment, this aircraft even has Backgammon and Chess boards! 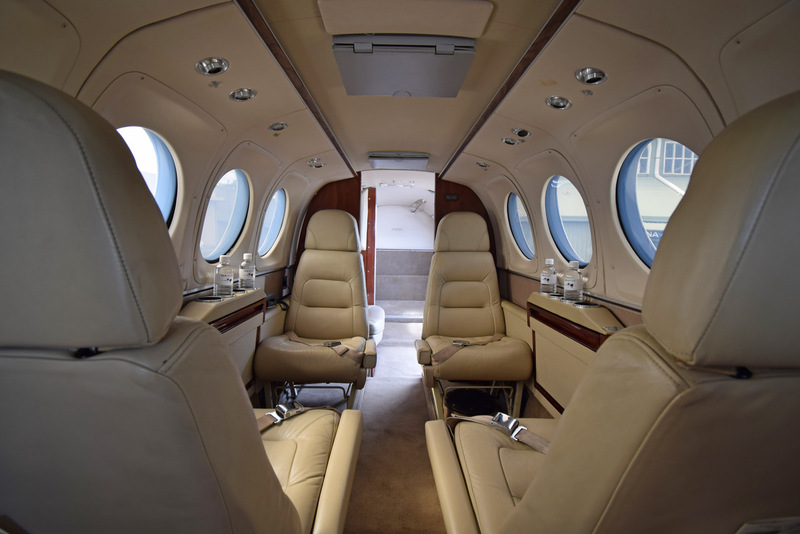 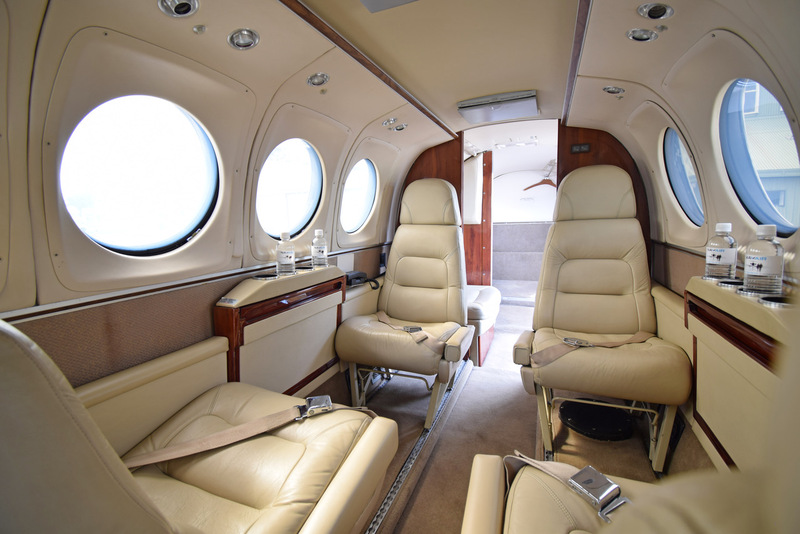 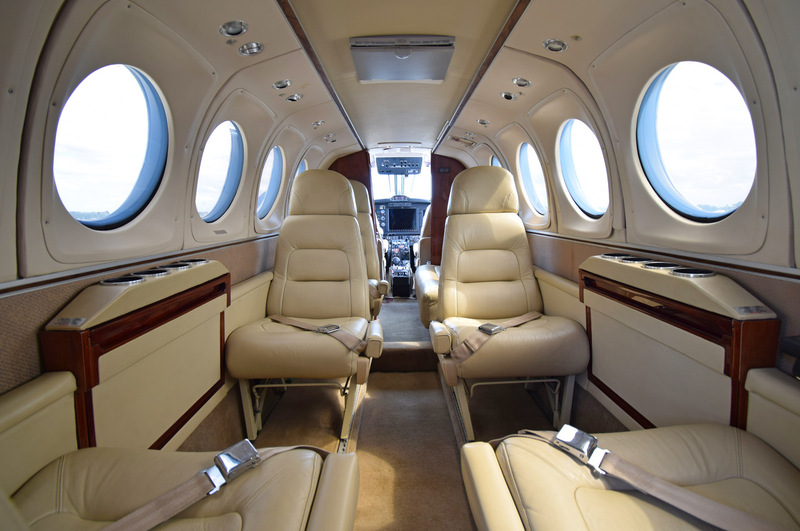 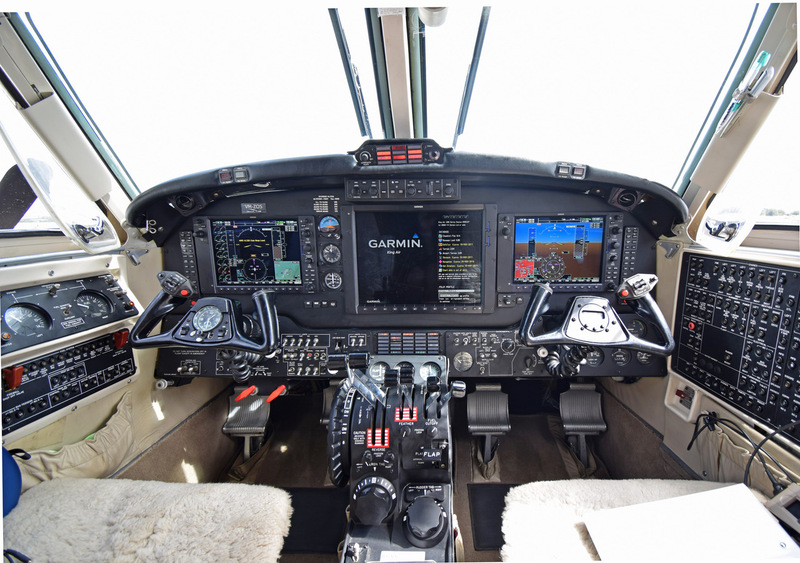 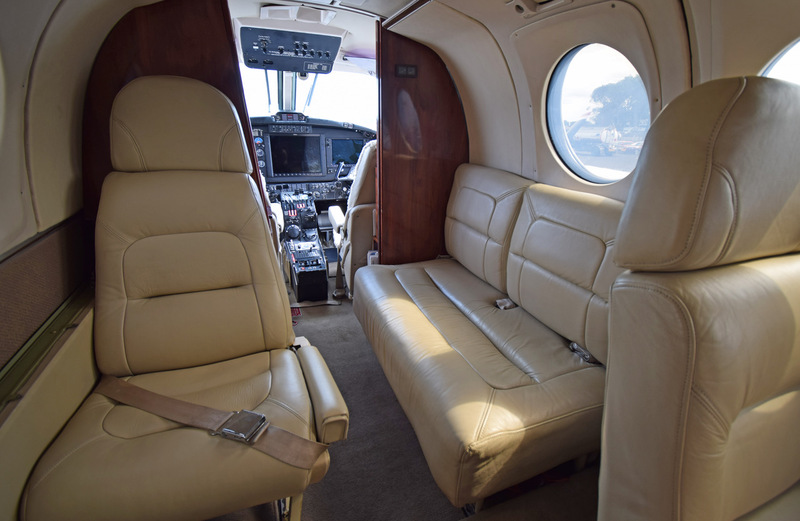 Crewed with one pilot, and commuter seating, the King Air seats 11 passengers on short trips, or for a luxury experience; can be configured with plush seating for 6. 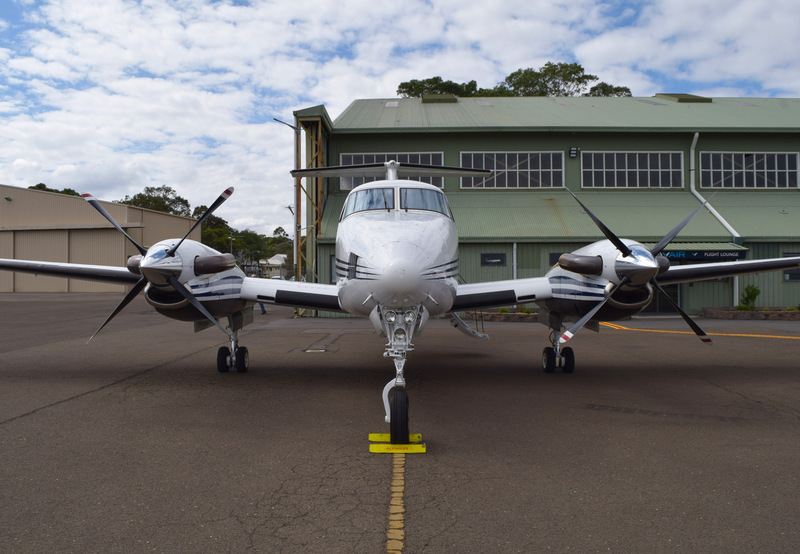 Twin turbine engines provide impressive performance with 850hp per side, contributing to the King Air’s reputation for being the safest turboprop in the charter industry. 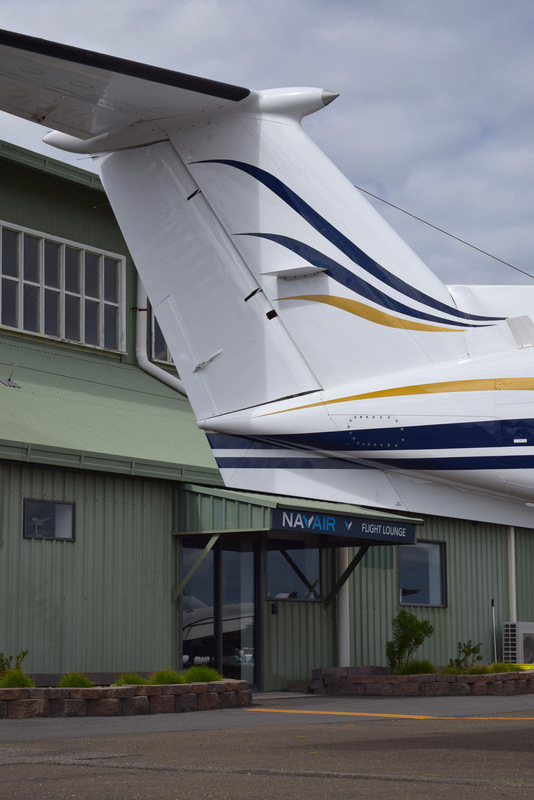 Fly in any weather, to any airstrip, in complete comfort. 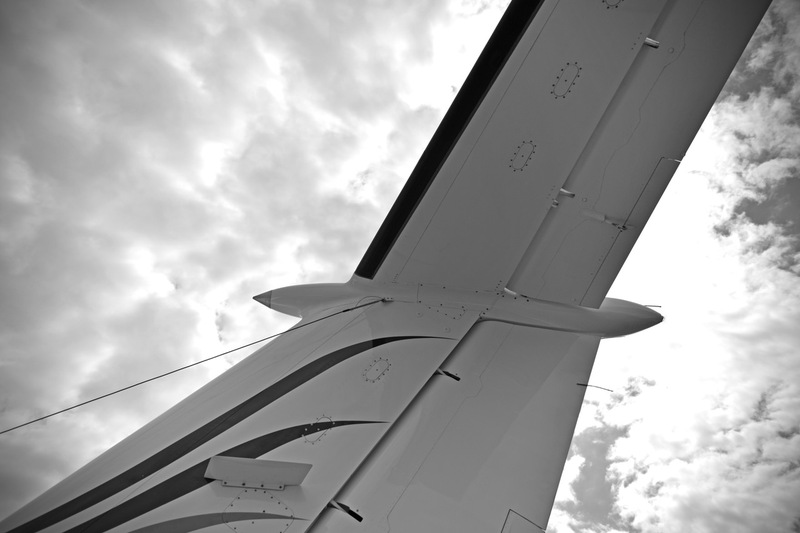 That’s the Beechcraft King Air.